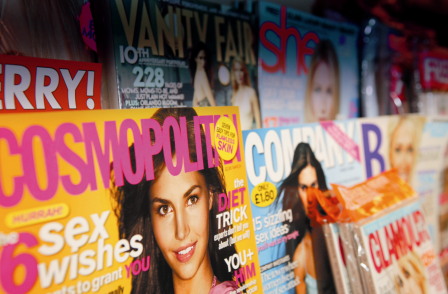 The UK's 503 magazines audited by ABC lost print sales at an average rate of 6.3 per cent year on year in the second half 2013. This compares with an average rate of decline of 4.9 per cent for the 516 magazines which were audited by ABC in the same period a year ago. The total average circulation of the magazines audited by ABC this time around was 56.1m compared with 53.2m last year. Newcomer to the ABC listings, the National Trust Magazine, was the UK's biggest circulation title with a free distribution of just over 2m per issue. TV Choice was the biggest paid-for magazine with a weekly circulation of 1,374,813 – up 11.8 per cent year on year. Use the search box on the chart below to find out circulation data for the title you are interested in, or click on the column titles to sort by name, circulation or change year on year.